It is well known that the resonance frequency and amplification factor of soft-soil can be explained in terms of an S-wave transfer function. 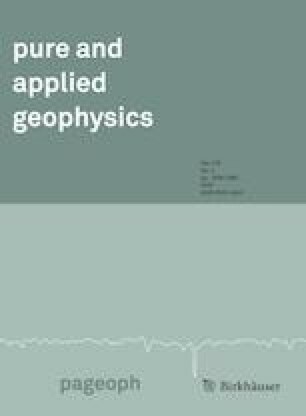 This paper concerns the propagation of a vertical incident Type-II S-wave, which is an S-wave with SH-polarization, from the viscoelastic bedrock overlain by a stack of viscoelastic soft layers that are assumed isotropic and homogeneous. First, the exact formula of the Type-II S-wave transfer function is obtained using the transfer matrix method. Then approximate expressions of the fundamental peak frequency of the S-wave transfer function and the corresponding amplification factor are derived. The fundamental peak frequency expression has a similar form of the quarter-wavelength law for the model of one layer only, but with two additional factors. The first factor shows the coupling effect between the soft layers and the bedrock through the impedance contrast. The second factor shows the effect of the viscosity of the layers and bedrock. The expression of the amplification is also expressed in a similar way. Some numerical calculations are carried out to compare results from synthetic data and the newly obtained expressions. The numerical calculation shows that the prediction from the obtained expressions for the peak frequency and the amplification factor seems to underestimate the corresponding results from synthetic data. However, the obtained expressions reflect very well the change of peak frequency and amplification factor due to the viscosity. The work was supported by the Vietnam National Foundation for Science and Technology Development (NAFOSTED) under Grant 107.02-2015.09. Truong Thi Thuy Dung gratefully acknowledges the support from the STEP programme (ICTP) through the OFID postgraduate fellowships. Daniel Manu-Marfo is supported by the Generali-ICTP earthquake hazard programme.